As a Christian, my brand of perfectionism can be a little more subtle because it sometimes disguises itself in pious clothing. But even when perfectionism seems to be aimed at godly living, it is prideful because it expects from ourselves now what only God has promised to accomplish in the future. Perfectionism disregards God’s promise to make us who we ought to be by attempting in our own strength to meet the goal of that promise in the present, and by positioning ourselves as the final judges of our performance…. Depending on how well we do in our own eyes, perfectionism can play out in a variety of negative responses: feelings of worthlessness, inordinate preoccupation with the opinions of other people, paralyzing fear, impatience with others, and a sense of superiority. The opposite is also true: sometimes we are so paralysed by fear of failure that we choose to take a back seat and not even try. I don’t think ‘striving for perfection and settling for excellence’ necessarily indicates a lack of trust in God or an over-inflated sense of self. Trust in God to deliver on what he has promised to happen in the future doesn’t necessarily need to mean that we shouldn’t work – and pray – with all our strength to see that future begin now. It does mean, though, that we should be continually examining ourselves – our heart and our motives – to ensure that our striving is properly framed as worshipful striving and not pride dressed up in pious clothing. No matter how good our marriages are, as the most intimate relationship two human beings can share, marriage functions like a spotlight on our hearts by enabling us to see our selfishness from the up-close perspective of another person. It exposes us. And, consequently, it has a way of demolishing the pretensions of our self-confidence… God is using my marriage to destroy my pride. Close relationships – marriage in particular – is a great antidote to self-absorption. Those closest to us are often prepared to say it how it is, and to bring us back down to earth when pride has puffed up our sense of self-importance or self-reliance. If Real Me is radically different than Online Me, which me is real, and which is the impostor? If I’m failing to demonstrate the same fruit of the Spirit in “real life” as I do online, it’s probably plastic fruit—and I need to be aware of the discrepancy… I’d rather bask in the love of my digital perfection than stumble and fall before real people who will call me out and hold me accountable. The persona we choose to project doesn’t need to be seen only as ‘plastic fruit’ – there is a distinction between ‘faking it’ (pretending) which has no intention of working at actually becoming more loving, and being someone who is choosing to ‘put on’ love, and actively seeking to adopt the behaviour that Jesus calls us to. Working at it is what counts. As I’ve touched on previously, self-control is the area that shows us up! Don’t settle for keeping your life primarily or exclusively online. Social media is a poor substitute for physical presence. Strive, fight for, and pour into those friends with whose voices, body language, and quirky personalities you’re well familiar. These are the hearts that know your heart—and are praying and engaging for your sanctification. This is the last of a series of posts where I have built and expanded on these a bit, adding my own thoughts that reflect how I would like to grow and develop in my gifting. “Get on fire for God and people will come to watch you burn“, advised John Wesley to a discouraged youthful minister who, seemingly, could not attract a crowd. That said, a key area I would love to grow in is to combine the ability to bring the timeless Word of God in my preaching with a prophetic edge that is able to also bring the ‘Now’ Word of God. That is not at all to diminish the fact that God’s speaks today through his Word (hopefully that’s demonstrably my view from reading these posts!) but it is to recognise that there can be prophetic insight (words of knowledge etc) in how we apply that Word to our hearers. Powerful preaching sets the spiritual temperature in the room rather than reflecting it. In my preaching, I want to be a thermostat and not a thermometer. In this there are no short cuts. To set the spiritual temperature you must first have caught the fever. If you are on fire for God, people will sit up and take notice. Can listening to a podcast replace ‘live’ preaching? The advent of the iPod and smartphone era has led to a tonne of great preaching content being made available on the inter-web. Listening to some of the best preaching in the world is as easy as clicking a few buttons in your web browser or smartphone. I listen to my fair share of podcasts – 51 subscriptions currently – that I dip in and out of from time-to-time. Online sermons reach people and places that preachers cannot. If you can’t get to church because of old age, health issues, or work you can still ‘catch up’ on what you may have missed in your community that week and feel part of things. If you serve regularly in children’s ministry, for example, it can be a valuable way of keeping up with the series whilst you’re serving in other ways. The availability of podcasts has also meant that it is easier than ever to listen to some of the most gifted Bible expositors out there. I know that I have benefitted from listening to the reflections and techniques used by other gifted preachers which has helped me to communicate more effectively. There is a lack of accountability inherent in listening to sermons sans church. Engaging with scripture as a community involves accountability and challenge – we are encouraged to reflect and apply what we are learning in small groups to not just be hearers of the Word, but doers. Relationships are a key element of spiritual formation. In contrast, you can easily listen to a podcast online and not interact with another human being. We can’t do the Christian life on our own. I want to sit under theWord of God alongside those God has called me to journey with in my church family. Perhaps most importantly for me, listening to talks online can’t replace the ‘Now’ Word of God. Listening to talks online have many merits, but nothing can replace the immediate relevance of the Holy Spirit working through the preacher to convey the Word of God to the congregation in a particular time and place. Have you ever heard someone raving about a talk, only to listen to it later yourself online, to be disappointed by what you hear? I think there is something important about being there in person to sense what God is saying through his Word, that simply isn’t present after the fact. Linked to this, it can easily slip into being a cerebral exercise that can reflect and feed a thirst for knowledge, but gives you very little context within which to apply it. As Paul says, “Knowledge puffs up, love builds up.” God is not looking for podcast junkies, but for people hungry for him and thirsty to apply the Word of God to their lives. Related to this, listening to highly talented preachers via podcast – divorced from your own church context – can easily feed a culture of celebrity in the church and become ‘consumeristic’. With podcasts, you can pick and choose to listen to preachers or talks you are interested in hearing, and just as easily avoid subjects or passages that you want to avoid because you find them difficult or challenging. That is not a healthy diet. Used well and discerningly, listening to podcasts can enrich your spiritual life and feed you deeply. But it is a supplement and not a replacement for ‘live’ preaching. Use it carefully to enhance and not detract from your spiritual formation. I wondered what else there was to life. “Real life,” perhaps, was waiting for me on the other side of the web browser… I’d find the real Paul, far away from all the noise, and become a better me. I’d learned how to make a new style of wrong choices off the internet. I abandoned my positive offline habits, and discovered new offline vices. Instead of taking boredom and lack of stimulation and turning them into learning and creativity, I turned toward passive consumption and social retreat. Much of the rest of this post has little directly to do with Paul’s story – which is well worth reading. Paul’s honesty got me thinking about how it illustrates two really helpful spiritual principles. Firstly, it’s important to carefully consider what you choose to surround yourself with. What we choose to surround ourselves with can help or hinder us to live lives full of self-control. If we choose to surround ourselves with tempting things, we will be tempted! I’ve noticed that if I spend a lot of time with friends who are more wealthy than me – and have the possessions to prove it – my levels of dissatisfaction increase and my desire to buy new shiny things becomes difficult to handle. If I am surrounded by good friends who are striving to live simply I find it easier to be thankful for all that I am blessed with. What I am surrounded with and by is an enabler for good choices. But this only gets you so far. Paul chose to step away from the internet and this helped him – for a while – to change his lifestyle and look at life in new ways. What he was powerless to do was to make that change stick. Secondly, the one ‘fruit of the Spirit’ you can’t fake is self-control. Self-control doesn’t grow in us automatically – it needs to be practiced. A fruit tree needs tending and pruning to bear good fruit. In order to live in the Spirit you have to choose to walk in line with the Spirit (Gal 5:25). Growing in self-control is the result both of the work of God the Spirit in us and conscious choice and hard work. This hard work looks like clothing ourselves in love – ‘putting on love‘- every day. It looks like prayerfully choosing to make godly choices every step of the way, knowing that without God’s help you haven’t got a chance. I’m not very good at that. I’d like it to become more like my natural behaviour. Just like a bike feels like an extension of your body only after many hours of cycling. There is nothing wrong with good old fashioned effort. It doesn’t earn us anything but it is part of what it means to live a life transformed God’s Spirit. The fierce fight for self-control is a fight of faith. “Fight the good fight of faith; take hold of the eternal life to which you were called” (1 Timothy 6:12). Over the coming posts I plan to build and expand a bit on these, adding my own thoughts that reflect how I would like to grow and develop in my gifting. Michael Quicke, 360-Degree Preaching: Hearing, Speaking, and Living the Word, 115, 116 (2006). One thing that I am releasing more and more is the urgent need to get excited about the passage I am preaching on – this stems, of course, from a conviction about the centrality of the Word of God for today. John Piper speaks of when he became “passionately thrilled” by what he was seeing in the Bible as a young man and that this was the thing that led him into preaching ministry. I know that I am most effective when I have been captured by what I have read in the scriptures and am seeking to pass on to others what I have learned and applied to my own life. John Stott talks of the main objective of preaching being to “expound Scripture so faithfully and relevantly that Jesus Christ is perceived in all his adequacy to meet human need.” The preacher should experience no less than revelation for their own life, and pass this living word from the living God to the living people of God. She was always cooking, he said, but never ate with the family. He couldn’t figure out, as a child, how she could be so large if she never ate. Then, one day, he watched her in her kitchen. As she cooked, she snacked. All day. This preacher said that we, as preachers, ought to be like his grandmother. We must be constantly snacking on the food that we’re preparing for others. 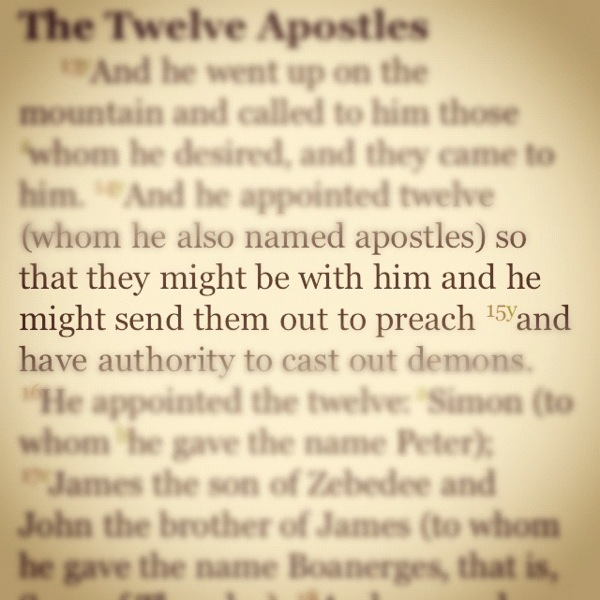 When I do this, I think my sermons are more personal, more practical, more warm, and easier to hear. I just don’t do it enough. I want to be personally gripped by what I discover in the scriptures. To soak in the text, drink deeply of it and be changed by it, and then work hard to find ways of unpacking this so as to act as a bridge between the the truths I have uncovered and the lives of the congregation. Truly effective preaching gets the preacher out of the way and allows God’s Word to speak by the Holy Spirit to God’s people. How Important Is the Doctrine of the Trinity? … the doctrine of the Trinity is crucial, essential, indispensable to a robust and healthy Christian view of God. But what does it mean to say that it is ‘indispensable’ when theologians of the caliber of Moltmann say: “The more one reflects on the mystery of the Trinity, the further one seems to move from any final understanding of it”? The doctrine of the Trinity is perplexing. Augustine said that anyone who denies the Trinity loses his salvation but that anyone who tries to understand it loses his mind. believing in the doctrine of the Trinity is not really the point; the point is to worship the triune God. However, the doctrine of the Trinity, while it cannot replace the triune God in our hearts, must have a place in our minds or else we end up in confusion about who God is. Do we have to mention Jesus? Jesus is not the express focus of every text of Scripture. But all Scripture gives evidence to the truth that is ultimately expressed in the person and work of Christ… When we examine Scripture, we do not look to find Christ in the text. We look at the text through the lens of Christ.